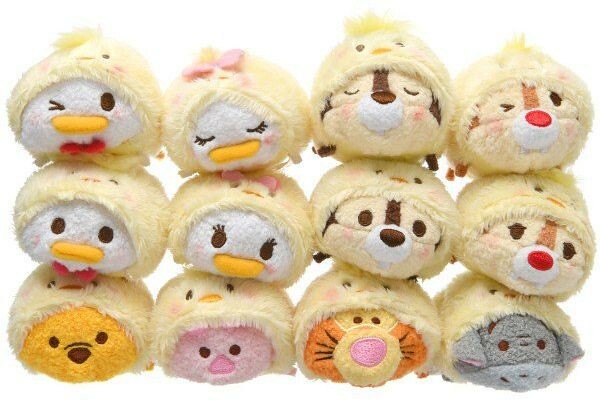 Easter has arrived at Japan’s Disney Store and it’s all cheery chirping! 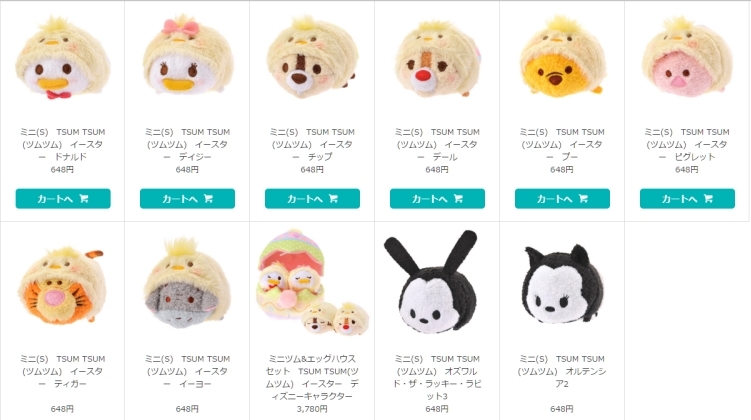 With bunnies as last year’s theme, this year’s spring tsum tsum takes on a softer and yellower theme. Here we have Pooh, Piglet, Tigger, Eeyore, Daisy, Chip, Dale and Donald wearing chick hoodies with Easter egg themed bottom halves. Two bonus tsum tsums of Oswald and Ortensia have also been released at the same time. A special tsum tsum set of 4 features Daisy, Donald and Chip & Dale nesting in a large Easter egg plush. It’s not so cheep cheep cheep, but it’s certainly charming!